Here's a handy reference you can use in your sewing room! 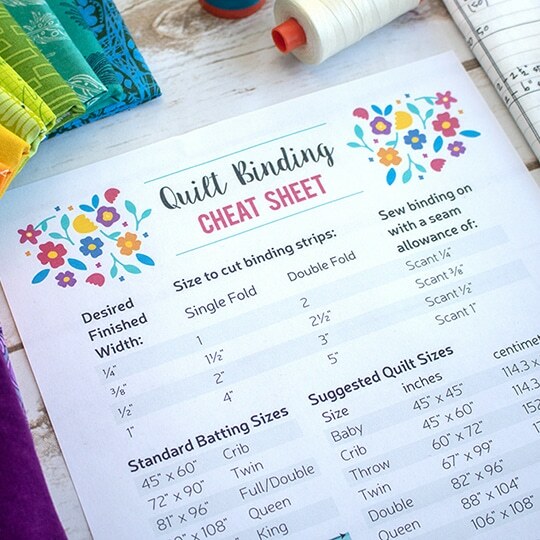 We created this handy Binding Cheat Sheet to gather all of the details you need to know about binding in one place. Post it in your sewing room or leave a copy in your sewing supplies box. We hope you find it as helpful as we do!